The recent ballistic missile test conducted by Pyongyang could require new international consultations, including in the UN Security Council (UNSC), the chairman of the Russian lower house of parliament's international affairs committee, Leonid Slutsky, told Sputnik on Sunday. MOSCOW (Sputnik) — Earlier in the day, North Korea launched a ballistic missile from the country's North Pyongan province, which plunged into the Sea of Japan after flying some 310 miles. "I do not rule out that the recent events in North Korea will require new consultations of the international community, first of all within the framework of the UNSC," Slutsky said. He added North Korea challenged the international community by conducing the missile launch as such actions violate UNSC decisions. "The launch of the ballistic missile by North Korea is of course a challenge. Such actions contradict the UNSC decisions, particularly, the recent resolution adopted in November, and of course worsen the situation in the region. 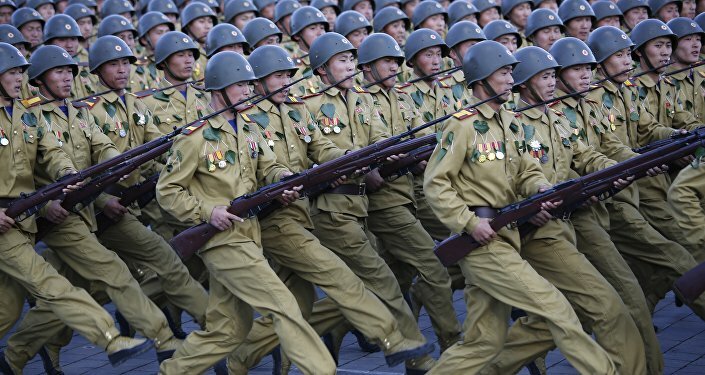 Pyongyang's unpredictable actions provoke a new spiral of tensions near the Russian borders," the official said, adding Moscow was concerned about the situation. "We should understand that further toughening of sanctions or unilateral extension of anti missile measures will barely result in solution of the problem and force concessions from the North Korean leadership," Slutsky told Sputnik. He added that Russia opposed the self-proclaimed North Korea's nuclear status. "At the same time our leadership has always held the view that the only way to solve the nuclear problem as well as other problems of the Korean Peninsula is continuation of political and diplomatic efforts in order to return North Korea to the six-party talks," the Russian lawmaker said. Pyongyang's nuclear and ballistic programs has been the issues of major concern for the international community. In order to make North Korea refrain from nuclear weapons and ballistic launches the UNSC has adopted a number of resolutions condemning Pyongyang and imposing sanctions on it. Yet another attempt to force Pyongyang to abandon its efforts are the six-party talks on turning the peninsula into a nuclear-free zone launched in 2003 with participation of North Korea, South Korea, Russia, the United States, China and Japan. Pyongyang's partners have been trying to return North Korea at the negotiating table since it's withdrawal from the talks in 2009.